Strike King Pro-Model Series 5 Crankbait - Fire Tiger. 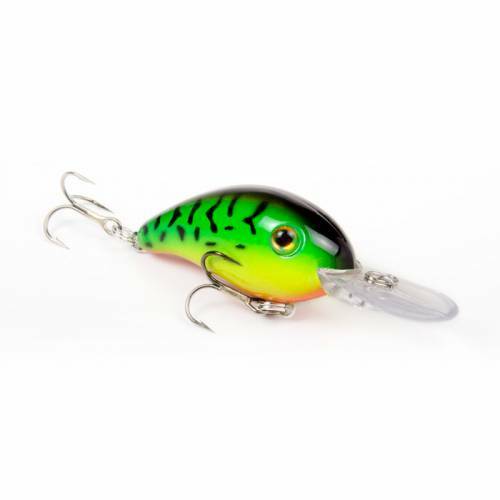 This crankbait has a medium-sized body with medium wobble & buoyancy. Series 5 has a 2 degree diving plane to allow for longer casts and deeper depths. Assorted colors available.